Trek Sensitive provides all day protection for up to 12 hours. The length of protection provided is dependant on a variety of factors including perspiration and activity. Apply throughout the day and evening as required. The use of slow release technology in this spray does make the viscosity of the spray slightly higher than some other insect repellents. 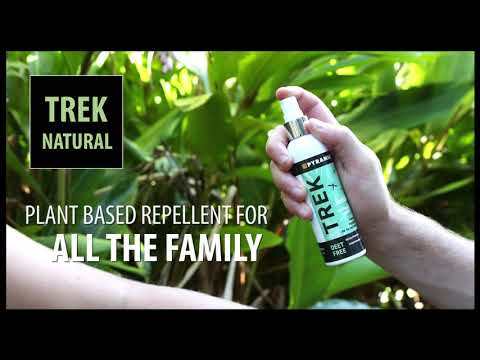 It is therefore reccomended that Trek Sensitive is applied onto the palms or backs of your hands to spread the insect repellent over exposed areas of skin. The slow release technology is used to allow effective protection from bites for up to 12 hours, whilst also increasing resistance to sweat and splashes. Therefore, applying this spray is similar to how you would apply moisturiser or suncream. For application of Trek Sensitive onto your face, we recommend not spraying directly onto your face, but again spray a small amount onto the palm or back of your hand and lightly pat onto your face. Take care to avoid the eyes and mouth that could cause ingestion of the product. Also, once you have finished applying the repellent, make sure to wash the palms of your hands . Can be used on children over 2 years of age and pregnant women. See our guide on How to Use Repellents and more advice on Insect Bite Protection.